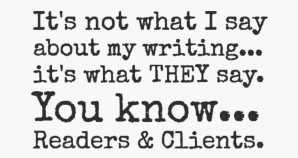 For our Writing & Ghostwriting Clients we offer this unique service. Remote Access: Client Dictation Services (exclusive phone number). Call in 24 hours a day / 7 days a week / 365 days a year. As a service to our clients, we provide them with an exclusive phone number and extension to call and record content for their project at any time. Those recordings/audio files (sessions) are automatically ID numbered, time-stamped and saved into the Client’s Project Folder each time they call. Once a client has recorded a session, it’s just like any other audio file. Our service will convert the audio file to MP3 format. We download the file, move the file to our client’s backup folder (archives), manage the audio file off-line for transcription, have the file transcribed or make it available to the Client for them to use their own transcription service. The client’s content is then used to rework, rewrite as needed to incorporate into their project. If you’re serious about having a professional writer help you with your book you should contact me to discuss your project.